Graduation in Arts/Commerce/ Management/ Science/ Computer Applications with First Class, as declared by the University. Selected candidates will be appointed as Junior Personal Assistant in the in Level 04 of Pay Matrix The gross emoluments in the minimum of pay band will at present be approximately Rs. 25,500/- p.m. In addition, House Rent Allowance [HRA], Transport Allowance at the prescribed rates in force at the place of posting will be paid for those who are not availing Departmental Housing and Transport facility, respectively. The employees will be governed by the National Pension Scheme. 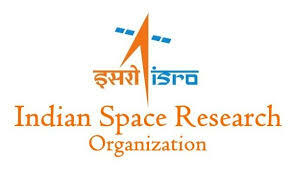 On employment in ISRO, other facilities are available such as medical facilities for self and dependants, subsidized canteen, transport allowance when official transport is not availed, limited housing facility for fresh entrants in lieu of HRA, Leave Travel Concession, Group Insurance, advance for construction of house, etc. as per Central Government orders. There will be an Application Fee of Rs. 100/- (Rupees One Hundred Only) for each application. Candidates may make the payment 'online' using Internet Banking/Debit Card or 'Offline' by visiting nearest SBI Branch. Candidates after submitting their application can pay application fee immediately or any day before the last date for fee payment 02.05.2018. The last date for submitting online application is 30.04.2018 Candidates are, however, advised to make online payment by 30.04.2018 to avoid any unexpected transaction failures/issues. All Women candidates/Scheduled Castes (SC)/ Scheduled Tribes (ST); Ex-servicemen [EX] and Persons with Disabilities (PWD) candidates are exempted from payment of Application Fee. However, after registration of application on-line, the candidates have to down-load and print the personalized registration confirmation form from the ISRO system which will contain the Name of the candidate, Registration Number, Advertisement No.,and Post code for future reference.